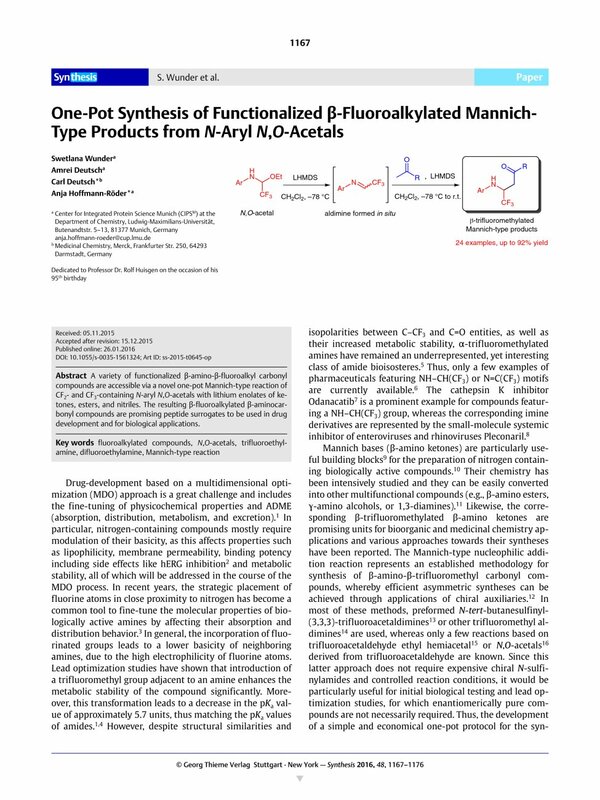 A variety of functionalized β-amino-β-fluoroalkyl carbonyl compounds are accessible via a novel one-pot Mannich-type reaction of CF2- and CF3-containing N-aryl N,O-acetals with lithium enolates of ketones, esters, and nitriles. The resulting β-fluoroalkylated β-aminocarbonyl compounds are promising peptide surrogates to be used in drug development and for biological applications. Supporting information for this article is available online at http://dx.doi.org/10.1055/s-0035-1561324.